True Forensic Science participated in the V Forensic Science, Law, and Public Safety COESFO Conference, Acapulco, Mexico, 2017. 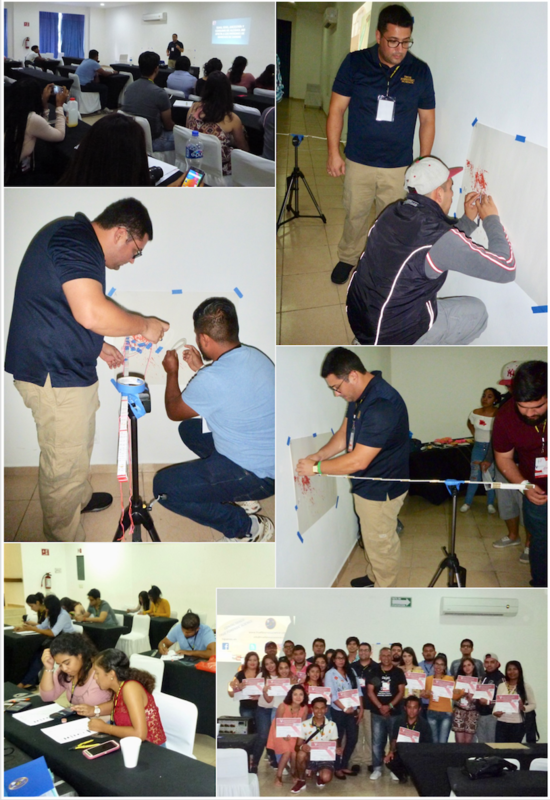 Our Science Director, Prof. Carlos A. Gutierrez, offered a “Bloodstain Pattern Analysis” workshop during the Conference. During the activity, the attendees had the opportunity to learn about the latest techniques used worldwide for bloodstain pattern analysis at a crime scene. Among the topics seen are: Definitions and Principles of Bloodstain Pattern Analysis, Bloodstain Direction Determination, Convergence Point and Origin Zone, and Practical Exercises.